It’s hardly surprising that Richard Taylor became a professional artist. His father is Robert Taylor, regarded as the finest aviation and maritime painter of his generation. For the past few years, however, Richard has been quietly carving out his own niche in the world of aviation and military art and is seen as one of the industry’s most exciting artists. 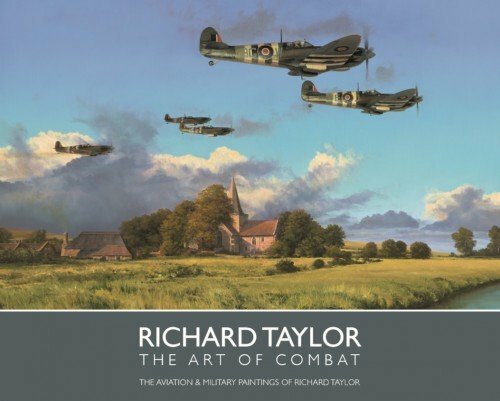 This beautifully illustrated book contains more than 30 of Richard’s air combat and military paintings, which have been successfully published as limited edition prints by the Military Gallery, together with a veritable feast of new drawings, many of which are seen here for the first time. Most of the paintings have a dedicated chapter to themselves in which the artist describes the history behind the images, and how each painting came into existence. .